Four towel designs - just trace and stitch! 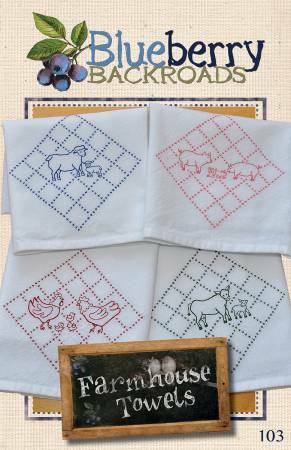 These designs fit well onto a tea towel or onto the corner of a flour sack towel. Chickens, cows, sheep, and pigs.